Set of 2 light up replacement 100mm scooter wheel. 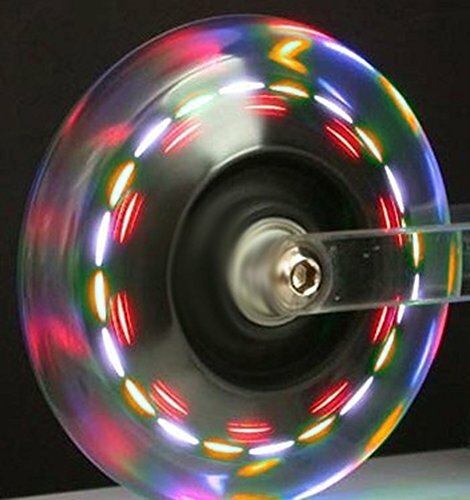 3-led color light up scooter wheel features super bright RED, BLUE, and GREEN LED's. Wheels are made with 82a polyurethane. Batteries are not needed, the power to light the lights is generated by the turning of the wheel. BE SAFE - BE SEEN ! Scooter Wheels with LED Lights ! Includes sealed carbon-steel bearings (ABEC-7). Put a set of these 100 mm light up wheels on your kick scooter and watch the fireworks spin! Also known as flash or flashing polyurethane wheels, these are a great accessory to make your kick scooter truly stand out and be seen. Self generating power. No batteries required! Durable hard urethane for stable long-term riding. Set comes with TWO wheels.